Milan is not only known for the fabulous glamour, but also for standout beauty looks when it comes to runways. 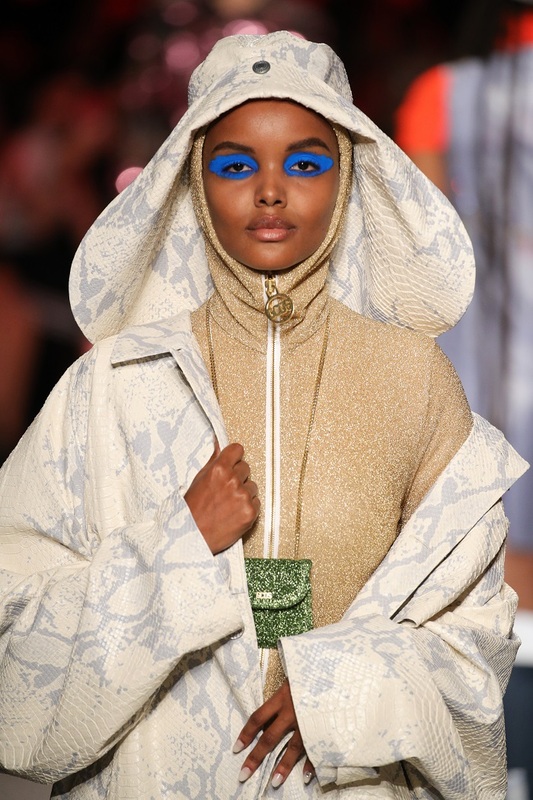 The fashion houses that presented their Spring 2019 collections made sure that they introduced some memorable makeup and hair moments this year. One of the best things about the upcoming spring is that all makeup and hair trends are easy to recreate. You won’t need a makeup pro or an appointment at the hair salon to copy these looks. It will be all about the eyes, starting with fierce eyeshadow colors, graphic eyeliner, to accenting the inner corner with statement shimmery shades. Swipe through the pictures below to check out the jaw-dropping beauty looks from Milan Fashion Week. GCDS definitely had the most fabulous beauty looks this season in Milan. The brand opted for unique eye makeup, that is quite wearable in real life. One of the highlights is this fierce royal blue eyeshadow we want to try right now. If you simply can’t wait until spring 2019, give this look a go for a night out.